HID Global has pioneered modern polycarbonate card manufacturing techniques and is a certified security printer. We combine card design expertise, proven manufacturing excellence and innovative technologies to offer advanced secure cards that are relied upon all over the world in national ID, resident permit, and driver's licenses programs. Offering a wide selection of security features, from classic sets such as DOVID, color shifting inks, and advanced security printing to innovative features for polycarbonate documents, we adjust the selection to meet customer requirements. 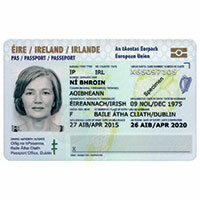 Our electronic ID cards are a perfect match to the SOMA™ Chip Operating Systems family.